It’s official. Brands are now fully invested in social media, having extinguished all doubt about the effectiveness of the medium. Top brands are even experimenting with their social media and content marketing strategy by embracing the latest trends. As we approach the new year, reviewing past social media marketing performance and planning2018’s strategy becomes an important concern. According to our research, these are the 21 key trends that will have the biggest impact on your social media and content marketing strategy in 2018. It turns out that consumers’ trust in brands is on the decline, as corroborated by this study, and brands need new ways to gain consumer trust. UCG or User Generated Content plays the perfect solution by humanizing brand content and increasing social media engagement. According to a study conducted by TINT, about 70% of 500 social media marketers believe that UGC makes their marketing more human and authentic. Lifestyle brands like Starbucks and AirBnb have focused their social media campaigns on UGC right from the beginning. The result? Epic campaigns like this one. Alternatively, you could consider curating content suggested by employees. DrumUp employee advocacy platform allows employee-users to suggest content. At the end of August 2017, Pew Research Centre recorded that 67% Americans looked to social media for news. That is appalling, considering that social networks, particularly Facebook, faced serious allegations of influencing the US Presidential elections in 2016. But it’s not just the politicians who are affected by fake news. A few months ago, Starbucks fell victim to the scalding effects of fake news when a post complete with the company’s logo and standard fonts, claiming that the company would give away free frappuccinos to undocumented immigrants, went viral. The claimant even created a hashtag – #borderfreecoffee. It’s tough to control damage once a post has gone viral, which is why brands will invest more next year in reputation management. In July 2017, Facebook launched “Discover”, a hub inside its Messenger app, to help developers discover and test chat bots. The hub, which is searchable, catalogues available Messenger bots. This, however, is the least of the support that Facebook has shown towards bots, the most being that Facebook messenger’s core algorithm itself has chatbot features built into it. “M”, Facebook’s chat assistance is aimed at enabling automatic interactions between brands and fans. Chatbots hold a lot of potential is providing instant customer service, and we know that social media users prefer the platform for customer service and expect quick responses. Snapchat disrupted social media by introducing disappearing content. Since the launch of the company, every social media platform has noticeably incorporated some form of disappearing content. And social media users are loving it. According to this report, Snapchat gets about 10 billion daily video views, slightly more than Facebook does. Facebook has responded to the competition by introducing Facebook stories, temporary profile images and camera effects. 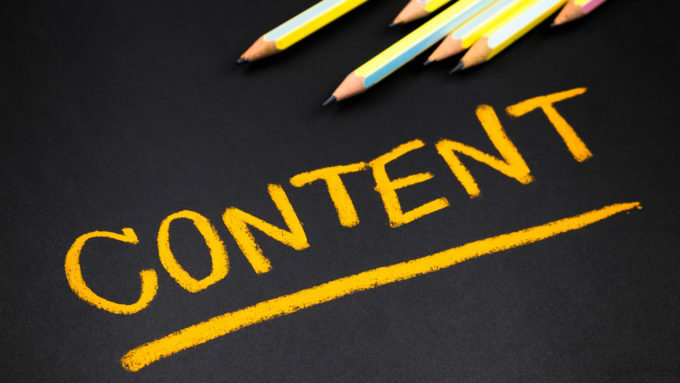 There’s a lot that disappearing content has to offer to brands, such as the opportunity to experiment and make mistakes, and use the psychological principles of urgency, timelessness and instant gratification in their marketing. Check out how WWF (World Wildlife Federation) used Snapchat for the #LastSelfie campaign to depict the urgency of saving endangered species. According to Pardot’s latest study, 95% of the social media marketers who work with influencers find the partnership beneficial. Since it’s getting harder to focus on certain target groups on social media, and paid advertising isn’t a stand-alone strategy, marketers will continue to rely on influencer marketing to connect with target groups. Many consumers, especially those belonging to “Generation Z”, prefer organic brand engagement to being force-fed advertorial content. Gradually, social media advertorial content is being replaced by subtly promoted influencer content. While video content was prominent in 2017, it will grow even more important in 2018 with Facebook, Snapchat and Instagram focusing heavily on animated content. 76.5% of social media marketers who participated in a survey said that social media video marketing had a direct impact on their business. Owing to the effectiveness of video marketing and the popularity of video content on social media, social media marketers are likely to continue to heavily invest in video content. Brands use video for anything from product advertisement to general customer engagement on social media. Check out LG’s #LowBatteryAnxiety campaign, which was a combination of both. The “noise” on social media is very evident. Businesses small and large have begun to use social media for marketing and the result is a mess of content, a lot of which is irrelevant to social media users. To survive the saturation, social media users have begun to find trustworthy sources (for instance pages on Facebook) to follow for all of their news. This has made it difficult for brands to engage their target audience on social media, causing a rush between them to attract and keep loyal followers. In 2018, brands will try to create more impressive social media footprints to keep their followers hooked. An important part of this exercise is the curation of quality content, original or otherwise and staying at the top of any niche. One way to create an impressive social media footprint is by curating relevant content from your industry using a content curation app like DrumUp. You can also use the app’s @mention suggestions to notify other users when you share their content. As a result of declining organic social media reach in the last few years, many businesses have begun to rely entirely on social media ads (2017 saw a 74% increase in spending on Facebook ads). This in turn has led to a dramatic increase in the number of social media advertisers. As the demand for social media ads increases, so will the cost for social media ads. True to the demand-cost relationship, CPM for Facebook ads has risen by 131% and CPC has increased by 136%. However, with the wide range of outlets available for paid social ads, marketers might seek to spread their spending across social networks and ad types. Social media marketers are feeling the pressure with the increasing costs of social media ads, focus has shifted to better management of ad costs while maximizing ROI. Moment marketing allows marketers to focus their budget around an event that is likely to increase traction for their brands. Some marketers are spreading their budgets evenly across frequently occurring micro-moments or “anytime campaigns”, such as weather changes, competitor advertising or flight delays. Other marketers are more focused on macro-events like the Super Bowl. Here’s what Oreo did during the Super Bowl blackout. Several typically televised shows have begun to broadcast using social media. The 69th Emmy awards was broadcast by the Television Academy and CBS on Facebook Live, with the Backstage Live! Show commanding over 2 million viewers. Live streaming via social has changed broadcasting, because brands can now easily turn any offline event into a live event, instantly reaching far more than the audience they can accommodate at a fraction of the cost. Live streaming also increases engagement because the viewers can express themselves and interact with other viewers during broadcasts. According Edelman Trust Barometer 2017, consumer trust in CEOs is lower than consumer trust in employees. Brands are beginning to encourage all their employees to build impressive social media profiles, just as employees themselves are beginning to take interest in personal branding activities. In 2017, posts from mid and ground-level employees discussing industry issues began flooding LinkedIn and other social networks. 2018 will only see more of such posts. Brands stand to benefit a lot from employees’ personal branding, with the benefits affecting everything from brand perception to sales and recruitment. According to a Business Insider study, 47% shoppers engage with brands across 10 or more channels, and such shoppers spend 93% more online and 208% more in stores than other customers. Chipotle and Sephora are two great examples of successful implementation of this strategy. In 2017, brands spent a lot of money ensuring that customers get a seamless experience across channels, and that spending is only bound to increase in 2018. Until social media merges and brands can target customers on one centralized platform, omni-channel marketing will remain a matter of focus. At present about 80% of Facebook’s revenue stems from mobile ads, and Contently predicts that by 2020, 59% of US Facebook users will shift to mobile-only usage. Considering this and the fact that major social media players Instagram and Snapchat are already mobile-focused, social media marketers will focus all the more on mobile next year. Clearly, mobile social users engage with brands more, and brands can benefit from creating content specifically for them. Bloglovin, an influencer marketing platform, conducted a survey of 2,500 micro-influencers and found that 60% of them saw better engagement on Instagram as compared to engagement on other social media platforms. The reason for this trend is straightforward. Instagram has mobile-focused functionality and is visual in nature, both of which are effective in engaging today’s fickle and overwhelmed audience. As Facebook races towards as all-mobile presence, Instagram will build on their already solid mobile foundation, leading the audience engagement game and helping brands achieve their goals. There’s more math involved in social media advertisement than many social media managers might care to manage. Plus, there’s only so much accuracy that any human can deliver. That’s why brands are now investing in machine learning based ad management platforms to optimize their social media advertisements. There now exist social media ad platforms that can run entire campaigns at optimal costs, given only basic campaign parameters. These platforms are even able to identify and set target audiences and choose campaign creatives based on predictions of what would perform best. According to a Bloomberg report, Facebook plans to release an affordable VR headset codenamed “Pacific” in 2018. Bloomberg’s source has hinted that the headset will be unlike any available at present, being a standalone device and requiring no external source of power. After Facebook’s launch of 360 degree photographs and video earlier this year, one can only wait to see what brands will do with these features once the new version of the VR headset hits the market. On August 9, 2017, facebook announced the release of a new video platform to view television-like shows called Watch. While the initial response (in the US region) was optimistic, the platform’s video views saw a dip in consequent episodes of the few series that were aired. However, this dip doesn’t seem to be a cause of worry for Facebook, because the platform might invest as much as $1 billion in Watch in 2018. While many might see Watch as a move to compete with Netflix and HBO, the video platform is actually a direct attack on YouTube. The first round of shows commissioned for Watch star YouTube influencers who will bring their fan base along for the ride. Facebook is likely to monetize the video platform once it has an established MAU community. Clothing brand Tommy Hilfiger was among the first brands to use Messenger’s chatbots after their release. The brand’s chatbot is more than just a shopping assistant, having the ability to engage in intelligent conversations to the extent of offering fashion advice. Facebook’s chatbots have proved that social media can drive sales, via automation. A brand doesn’t even have to invest in executive level community managers to engage with prospective customers anymore, as was the norm for community engagement in 2016. Brands can now develop chatbots or subscribe to platforms that offer chatbots to automate chat assistance. This only spells good fortune for personalized shopping and customer service on social media. At least 2.5 billion people use messaging apps, globally, but many brands still focus primarily on the web version of social media platforms. In 2018, however, as social networks themselves begin to focus on messaging platforms, brands will also begin to make the shift. Chatbots, in the form of intelligent assistants, will help brands manage conversations with their audience via messaging platforms. At present, brands are already using mobile-focused platforms such as Instagram and Snapchat to target younger audiences. Some brands are also using Whatsapp and Hike to communicate directly with prospective customers. Today’s audience wants an immersive experience, according to a YuMe study, and brands are working at giving it to them. The existence of AR and 360-degree video/photography helps. For proof of the fact, let us consider the following example. Hong Kong Airlines’ 360-degree ad was found to be 35 times as effective as its 2D version. AR and 360-degree video/photography contribute an additional dimension to a customer’s experience, making it more immersive and memorable. Brands can use this to bring their audience into their offices, stores and events. Check out this 360-degree selfie by 301i. The advancement of social media technology has enabled marketers to track behavior of users, giving them more insight into the performance of their marketing activities. Until now, most marketers have relied on analytics that measure engagement as events. They are now beginning to rely on analytics that measure audience behavior. Since social media platforms are becoming more mobile-focused, event-based analytics aren’t enough to understand and predict audience behavior. Behavioral data gives social media marketers insight into what engages their audience and how they can create more audience-centric content. 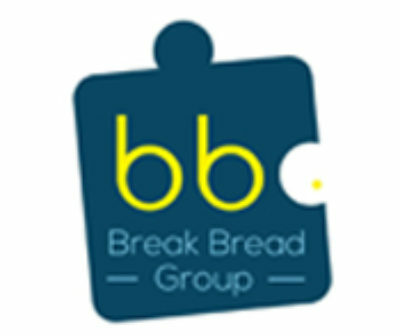 My name is George, and I was wondering if you would like to have your website breakbreadgroup.com promoted as a resource on my blog georgemartjr.com ?